Anyone who has visited an official Major League Baseball web page recently is likely to have noticed that the fan voting portion of All-Star Game balloting has begun. Between now and July 3 fans can stuff the ballot box with the hopes of seeing their favorite players take the field Tuesday, July 15, in Minneapolis, Minnesota. Inclusion in the MLB All-Star Game is certainly a hot ticket for the players selected since unlike other All-Star games in sports, the MLB game has the feeling that it is being played to win by both sides. Of course some added incentive to win was added a few years back when home field advantage in the World Series was given to the league that won the All-Star Game. The All-Star Game also allows players to show off their home run swing during the Home Run Derby leading up to the big game. Even the players not selected to the game get the benefit of a few days off to spend with their friends and families. 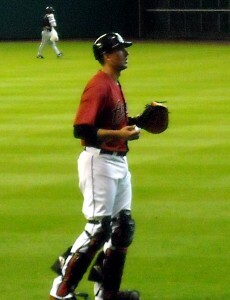 Catcher Jason Castro of the Houston Astros was named to his first All-Star Game last season. All in all, there is little to find fault in when it comes to the All Star Game. However, there is one particular aspect of the MLB All-Star Game season that needs to change. That element of All-Star Game party foul is the fan vote. I know I will get lots of grief for saying this but I do not believe that the fans should be voting for the All-Star participants. Sure, people will say that as a reporter I am being unfair to the common fan by saying that only members of the media and league officials should have a vote but let us examine what the fan vote portion of the All-Star voting really entails. Unlike say the election for the President of the United States where a registered voter is allowed to cast a single ballot there are no such restrictions for MLB balloting. In fact, excessive voting is encouraged by the 30 teams who offer various prizes for filling out excessive amounts of ballots. This is also the time of year where Ballparks will be filled with super fans who take their devotion to their favorite players to the extreme by filling out boxes and boxes of ballots. That boys and girls is called buying votes no matter how you slice it. And yes I am not trying to say that electing representatives to the All-Star game is more important than electing the President. Sadly I would not be surprised if more people vote in the All-Star race than the general elections to decide who will run the country though. All Star Games often have all the pomp and circumstance of a political campaign including campaign buttons. As part of the ballot stuffing certain power voters submit hundreds if not thousands of ballots. Of course it stands to reason that they are voting for their home town favorites so it becomes a battle of which team has the most active fan base in selecting some of the leaders of the voting pack. So instead of an All-Star game where the most talented individuals at a given position are selected to represent both their team and their league, the All-Star Game becomes like high school with only the popular kids getting in to the party. Granted, sometimes the most popular player is also the best player at that position but there has been a long history of players with better stats getting left out. Let us use Cal Ripken, Jr. as an example. 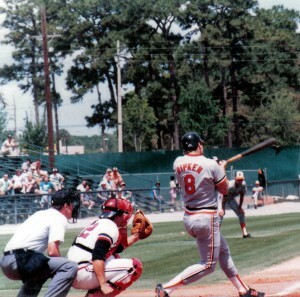 As noted numerous times, Cal Ripken, Jr. was my favorite player to follow growing up along with Don Mattingly. Few could argue that Cal Ripken, Jr. was a great ballplayer and every bit deserving of induction into the Baseball Hall of Fame on his first ballot. Cal Ripken Jr. had a Hall of Fame worthy career but some late career All-Star Game selections seemed based more on past performance than current stats. But as happens with all of us as we age we are not as productive as we once were. So despite declining skills Cal Ripken, Jr. still was selected to All-Star games late in his career when he was still widely popular but no longer the best player at his position. There are examples of players on the disabled list getting a large amount of votes for inclusion as well. Regardless of what Derek Jeter does on the field this year it is a no brainer that he will be elected to the All Star Game during his farewell season. In fact even if Jeter is somehow on injured reserve fans will likely still vote him onto the infield at Target Field for the American League. Another wrinkle in the All-Star game is the rule that all 30 teams need to have at least one representative selected. This rule helps ensure that no team feels left out and harkens to the age where everyone gets a participation ribbon regardless of where they finish in the race. And yes there are good players on bad teams but am I really to believe that a player on say the Astros is playing at an All-Star level? Granted there is probably not a perfect solution for balloting due to the fluid nature of the game and the ballots being released over two months before the game. But, The fact remains I do not feel that allowing fans to vote as often as they can based on their ability to pick up enough ballots at the ballpark makes a mockery of the whole process. And for those people not wanting to spend a week in Minnesota there is always the Atlantic League All Star Game in Sugar Land. Now if you’ll excuse me, I will not be filling out an All-Star ballot but I will start to plan my menu for the All-Star game tailgate. Yesterday the Sugar Land Skeeters announced that former NBA star Tracy McGrady had been added to the team’s opening day roster. McGrady had joined the team as a non-roster invitee during Spring Training and wound up earning one of the 25 roster spots. McGrady will work out of the bullpen as a pitcher despite never playing professional baseball before. Tracy McGrady is trading in the arenas of the NBA for the Ballparks of the Atlantic League as a member of the Sugar Land Skeeters. After the move was announced comments began to surface online about the move being a publicity stunt more than a way to help the ball club over the long haul. Does signing a retired NBA player with local ties bring publicity to the Skeeters? When Michael Jordon retired for the first time 20 years ago and joined the Birmingham Barons Ballparks across the Southern League were filled to capacity with people wanting to see him play. While some could argue that Jordon is a bigger star than McGrady the fact remains that people tend to pay attention when players try to pick up an entirely different sport than the one they are known for. While the Skeeters are entering their third season of competition in the Atlantic League it is entirely possible that there were many people in the Houston area that had not heard of the team before the McGrady announcement was made. 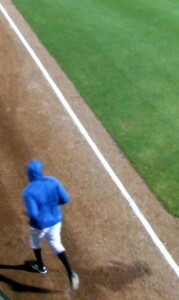 Fans of the Sugar Land Skeeters are hoping for many more visions of Tracy McGrady heading out of the bullpen. So yes, signing a retired NBA player to your roster does bring the sort of media coverage that helps build a team’s reputation. One of the local television stations even broadcast live from Opening Day yesterday and had one of their meteorologists throw out the first pitch after she received some pointers from Roger Clemens. It should be noted that McGrady also worked with Clemens before starting on the quest to become a professional baseball player. Speaking of Clemens, the Skeeters were the team where “The Rocket” pitched his final two games as a professional player. The Skeeters are also the team with current Oakland Athletics starter Scott Kazmir was given a second chance after seemingly losing control of his pitches and having his future as a professional baseball player in serious doubt. The Skeeters gave Clemens a chance to “have a catch” with his son in a professional game before calling it a career and also allowed Kazmir to regain his control and resume his Major League career. 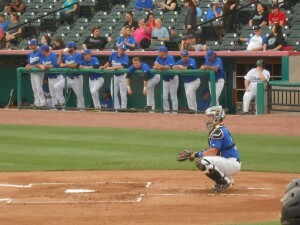 The Sugar Land Skeeters gave Koby Clemens a chance to “have a catch” with his dad Roger Clemens during the Rocket’s last professional game. Granted Kazmir and Clemens were both Major League Baseball players at one time so their stories are slightly different than that of a retired basketball player giving baseball a chance but they both show a history of giving players a second chance more than staging mere publicity stunts. McGrady did not play during last night’s opener which I am sure disappointed some people in the sellout crowd but it should also temper some of those who are calling the move to sign him a publicity stunt only. 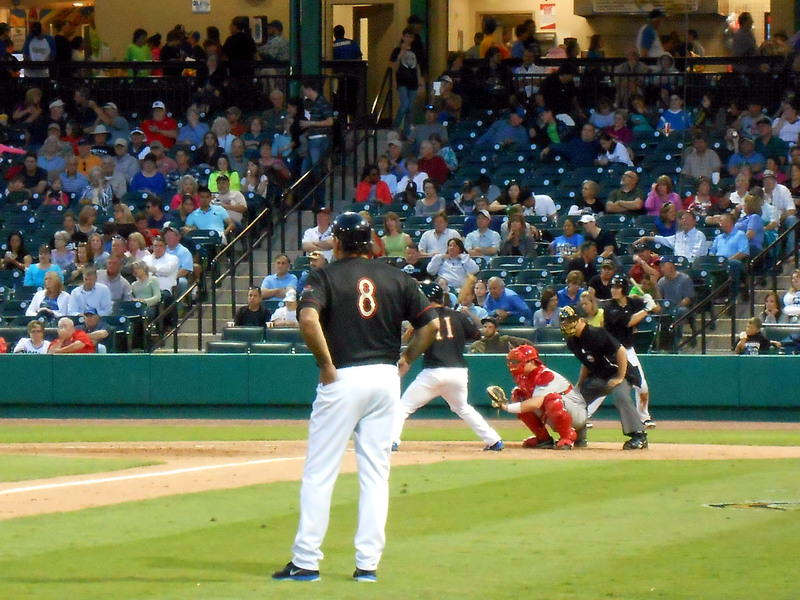 Gary Gaetti is entering his third season as manager of the Sugar Land Skeeters. The fact that he did not pitch last shows that manager Gary Gaetti and the rest of the coaching staff are not in the publicity stunt business and are there to win ballgames. Were McGrady merely a publicity stunt to sell tickets and jerseys than the Skeeters would run him out onto the mound at every opportunity. Speaking of jerseys there was a wide assortment of McGrady items in the gift shop during Spring Training which pointed to the likelihood of McGrady’s inclusion on the roster well ahead of the actual announcement yesterday. As a rule teams rarely spend money on jerseys for non-roster invitees. Unfortunately the Skeeters fell in their season opener to the Lancaster Barnstormers but one loss does not always set the tone for the season. And if signing a former NBA star does bring more attention to the region regarding the existence of the Skeeters than that is not entirely a bad thing. The Sugar Land Skeeters kicked off their third season in the Atlantic League last night. 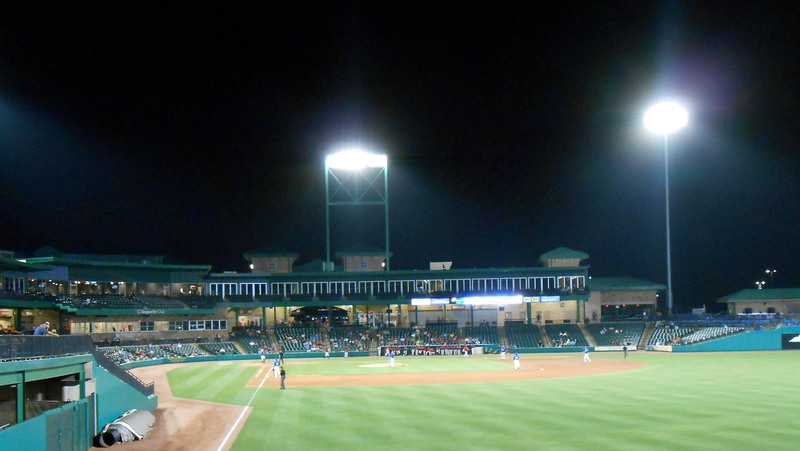 The Skeeters offer a good product at a reasonable price and provide that small Ballpark feel that the Minor Leagues are famous for. While the roster includes many players with Major League experience there are also players who never quite made it to the “Show” and are merely playing for the love of the game. Contrast that with some of the Major League players who seem to only be in it for the money and one can see why the Minor League version of the game is preferred by many fans. While the Houston Astros are still the Major League Baseball game in town there is plenty of room for the Skeeters and other teams in the region. In fact, the Atlantic League is set to add more teams in the Western Division in the coming years which will give fans other options when it comes to watching baseball. More teams in the Atlantic League will also mean that the Skeeters will likely not have as many long road trips to the east coast. In the meantime the Skeeters and the Astros could always just have a royal rumble for bragging rights in the region. Were the two Houston area professional teams ever to play a scrimmage together the result would likely be closer than one might expect. As for Tracy McGrady time will tell if his transition from the arenas of the NBA to the Ballparks of the Atlantic League leads to a lasting second career and potential Major League Baseball debut. For now the only thing that matters is that he can call himself a professional baseball player who is living out a childhood dream. It is always good when dreams can come true. Now if you’ll excuse me, I need to get my tickets for the game tomorrow. 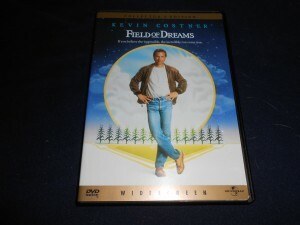 Monday marked the 25th anniversary of the release of the movie Field of Dreams. As noted during our Totally Subjective Top 10 Baseball Movie Countdown back in March, Field of Dreams trails only Bull Durham in terms of popularity here at the Gigaplex. Based on the book, Shoeless Joe, by W. P. Kinsella the movie follows the exploits of an Iowa farmer who hears voices that tell him to plow over his crop of corn and build a baseball diamond to allow the ghost of Shoeless Joe Jackson and his friends to play on it. The story also centers on making the most of second chances along with working through the grief that comes from the loss of a loved one. Last Monday marked the 25th anniversary of the release of the movie Field of Dreams which still has moviegoers longing to have a catch after a quarter of a century. With superb performances from Kevin Costner, James Earl Jones, Burt Lancaster, and Ray Liotta rounding out the cast, the film delves into topics of faith and belief in both a simpler time in baseball as well as each of us. There are of course elements in the movie that could never happen in real life regardless of how many voices we hear in the corn fields of life but the belief that things like the ones depicted in the movie could happen somewhere are part of what make the movie one of the all-time bests. What makes the movie so popular and relevant a quarter century after its release depends on who you ask. Each of our inner children want to believe that somewhere there is a “field of dreams” where we can relive our happiest experiences and perhaps avoid some of the sadder times in life. For some that field is a baseball diamond. For others the field might be somewhere where we can spend a little more time with a loved one who is no longer with us. The movie tackles each of those elements perfectly and never really spends too much time explaining the supernatural elements of the film and they never seem too over the top. There are certainly plenty of emotional moments in the movie and despite Tom Hanks’ proclamation in A League of Their Own that “there is no crying in baseball” there are still certain scenes in Field of Dreams that get me a little watery eyed each time that I see them. That of course is the mark of a good movie that even after seeing it countless times over the past quarter century the emotional elements still run true and can elicit a reaction despite knowing what is coming. While no big celebrations are planned this week to commemorate the anniversary it should be noted that many of the prime cast and crew will be on hand at the baseball diamond in the corn field June 14 as part of Father’s Day weekend. With its central theme of “having a catch” with one’s father it is only fitting that a Father’s Day event is tied to the anniversary. In addition to events planned on the diamond, a Field of Dreams 25th Anniversary Celebration Parade will take place in downtown Dyersville, Iowa on Saturday, June 14. With the anniversary upon us it is only fitting to once again remember the nostalgic effect of baseball. Perhaps no other sport is as linked with feelings of nostalgia as baseball is and Field of Dreams taps into that nostalgia in a way that is not over the top or judgmental. It just feels as comforting as a worn glove when the leather is broken in at just the right amount or perhaps like a baseball cap where the bill is curved at just the right angle to keep the glare of the sun at bay. And if you happen to find yourself in Iowa Father’s Day weekend you should “go the distance” and take a side trip to the Field of Dreams. Who knows, you might just catch a glimpse of Shoeless Joe Jackson emerging from the stalks of corn in center field. Now if you’ll excuse me, I think I will go have a catch with my dad. 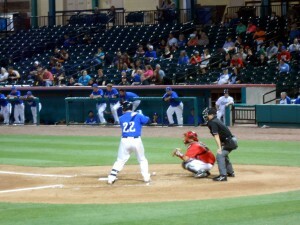 The Sugar Land Skeeters of the Atlantic League wrapped up an abbreviated Spring Training with a trio of games against two local colleges last week. 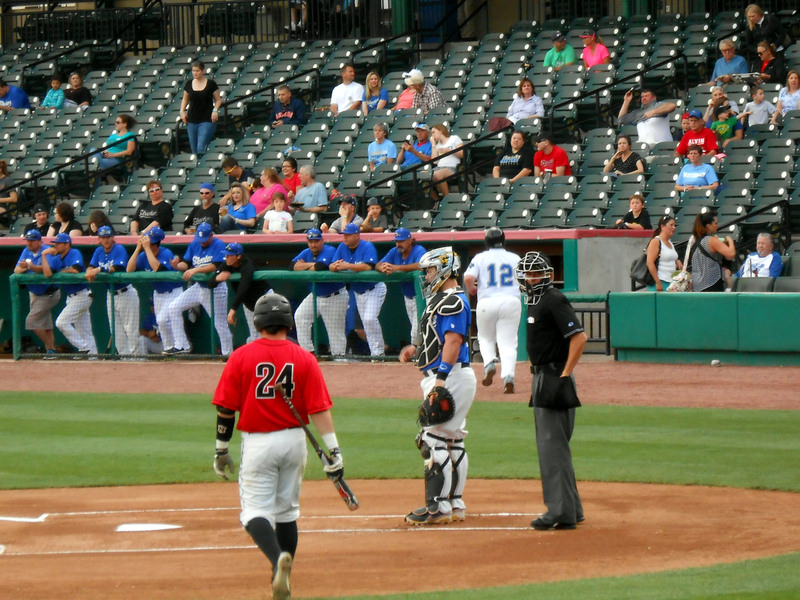 While teams will often play exhibition games against colleges during Spring Training for the Skeeters scheduling games against colleges becomes a logistical necessity. Unlike Major League Baseball where Spring Training sites are located within driving distance of each other in either Florida or Arizona teams within the Atlantic League are spread out over several states. 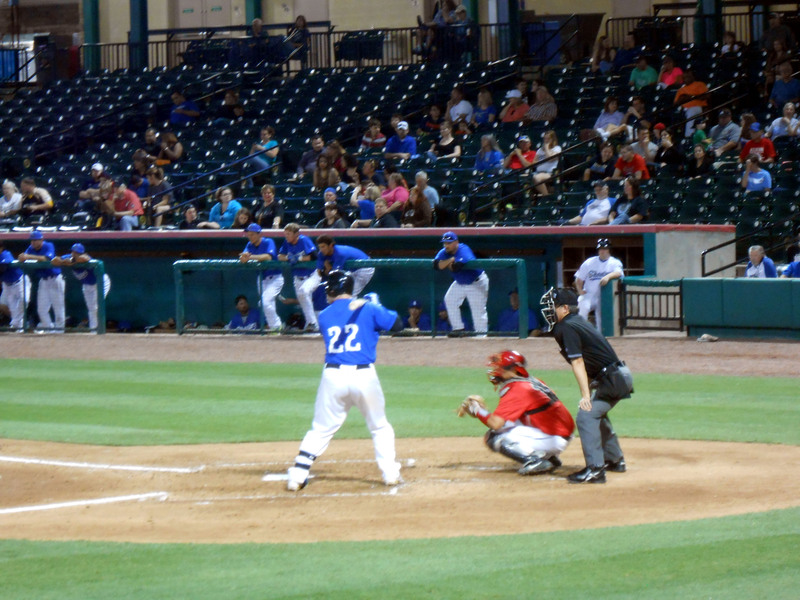 The Sugar Land Skeeters of the Atlantic League tuned up for the regular season with a pair of games against the Alvin Community College Dolphins. When your closest league opponent is based in states that border the Atlantic Ocean finding teams closer to scrimmage with can certainly be a huge advantage. The Alvin Community College Dolphins and the San Jacinto College Gators filled the roles of Spring Training opponents to help the Skeeters prepare for the start of the regular season. The Skeeters won all three of their Spring Training games as one would expect but the games proved to offer more than just a box score. For starters the games allowed the use of a mixed fleet of bat types. While Professional baseball leans toward the wood bat camp college baseball allows the inclusion of metal bats. 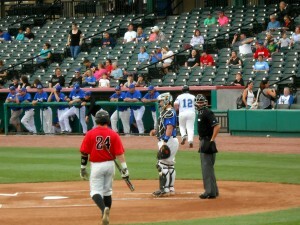 With the metal bats in play fans were treated to the rare pinging sound of a ball meeting a metal bat within a Professional Ballpark. Additionally the players from both colleges will be able to tell their friends that they played against a Professional baseball team. Of course the players who managed to get hits of of those same Professional players will have even bigger stories to tell. Another plus for the Spring Training crowds in attendance was plenty of elbow room and the chance to scout out the best seats in the ballpark. Koby Clemens enters his second full season as a member of the Sugar Land Skeeters. For the most part there are not any bad seats in the Ballpark but it never hurts to try to see the view from various vantage points whenever one has the opportunity. Speaking of opportunity, fans were treated to their first views of Tracy McGrady who is trying to join an elite club of former NBA stars to become professional baseball players. Hoping to make the team as a pitcher, McGrady, worked one inning Friday night against the Dolphins and allowed one run on three hits. While his baseball stats may have a small sample size thus far, McGrady was a seven time All-Star and recipient of two scoring titles during a 16 year NBA career where he spent time with the Toronto Raptors, Orlando Magic, Houston Rockets, New York Knicks, Detroit Pistons, Atlanta Hawks and San Antonio Spurs. Whether past success in basketball will transition to future success in baseball will remain to be seen. But if the rack of McGrady jerseys in the Skeeters team store is to be believed someone in the organization is hoping that it does. Aside from the normal concession stands and gift shop found in most Ballparks, the Skeeters facility also includes two water features in the form of a pool and a splash pad area. The multiple water features allow fans the opportunity to cool off during those hot nights at the Ballpark and have become a feature of many of the Minor League Ballparks within Texas. 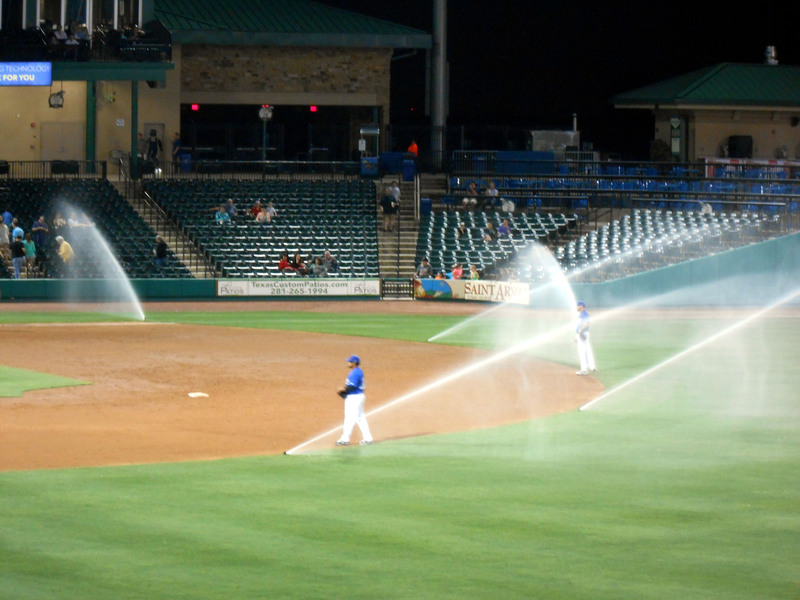 Saturday night the Skeeters introduced a new on field water feature as well when the sprinkler system inadvertently went off in the middle of the game. While several fans in the front rows along the third base side of the field ran for dryer ground many of the players stayed put during the impromptu rain delay. Sometime you win, sometimes you lose and sometimes the grounds crew forgets to turn off the timer on the sprinkler system. To paraphrase Bull Durham baseball is a simple game. Sometime you win, sometimes you lose and sometimes the grounds crew forgets to turn off the timer on the sprinkler system. In an era where every second inside the ballpark experience seems scripted from sponsorships and other concerns it is refreshing when something like the sprinklers going on occurs to remind people that it is still a game where the unexpected can happen. With a 3-0 Spring Training record the Skeeters will spend this week making final roster cuts to get to their 25-man roster before the regular season begins on Thursday. Early signs and shirts certainly point to Tracy McGrady making the team but an official announcement will likely not occur before Thursday. 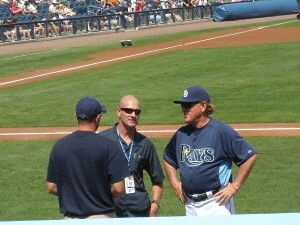 Until then fans will sit and wait to see who makes the Opening Day roster. Now if you’ll excuse me, I suddenly have a craving for some peanuts and Cracker Jacks. It has been said that championships are not won in April but that they can certainly be lost. That is to say that a team’s early success does not always carry over throughout the course of a full season as many things can happen between Opening Day and Game One of the World Series to shape a team’s fortunes and in some cases misfortunes. While a team winning the bulk of their games early in a season does not guarantee continued success, a team that loses most of their games early on will in most cases continue that trend throughout the season. While it is certainly neither the time nor place for celebration or despair in any of the 30 Major League Ballparks this early in the season it is certainly worth looking at some early trends in terms of expectations met and expectations that have not been met. In the American League East few should be surprised that the New York Yankees are leading the standings during the Derek Jeter Swan Song Tour. 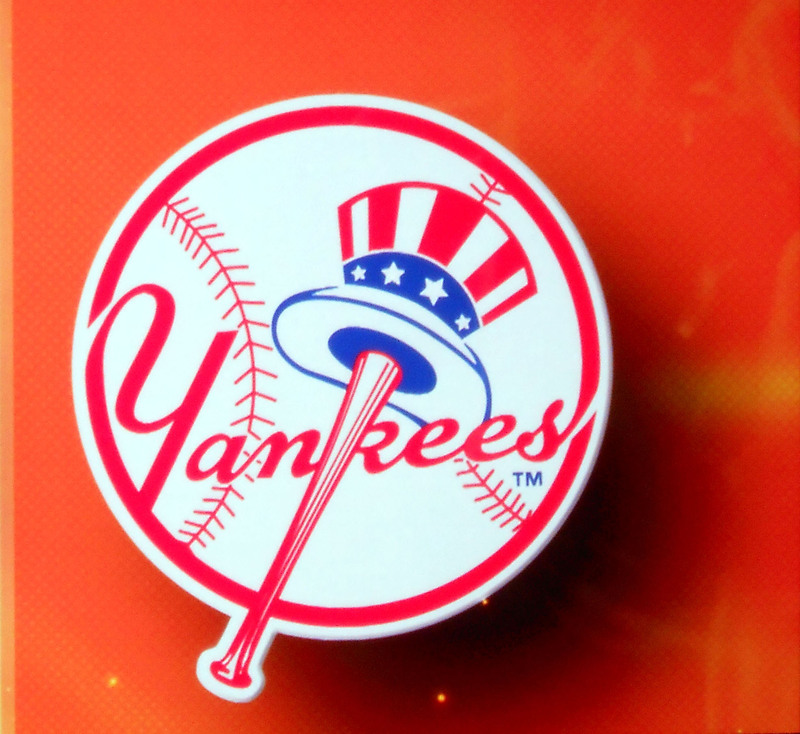 With the New York Yankees in first place in the American League East very few people are likely to bet against them going deep into the postseason during Derek Jeter’s Farewell Tour. Some may go so far as to suggest that the baseball stars will align so that Jeter’s last game occurs as a World Series Champion. That is not to say that baseball is rigged but there are certainly odd occurrences now and then. I am looking at you Boston Red Sox. The rest of the American League East offers a few surprises. Few would have thought that the defending World Series Champion Boston Red Sox who famously healed an entire region last year with a title following a terrorist attack at a marathon would be in last place in the division. The Tampa Bay Rays who many predicted as a World Series bound team are also struggling a bit due to injuries to their starting rotation but it is likely that they will bounce back from the early season struggles and become the playoff team that many predicted them to be. 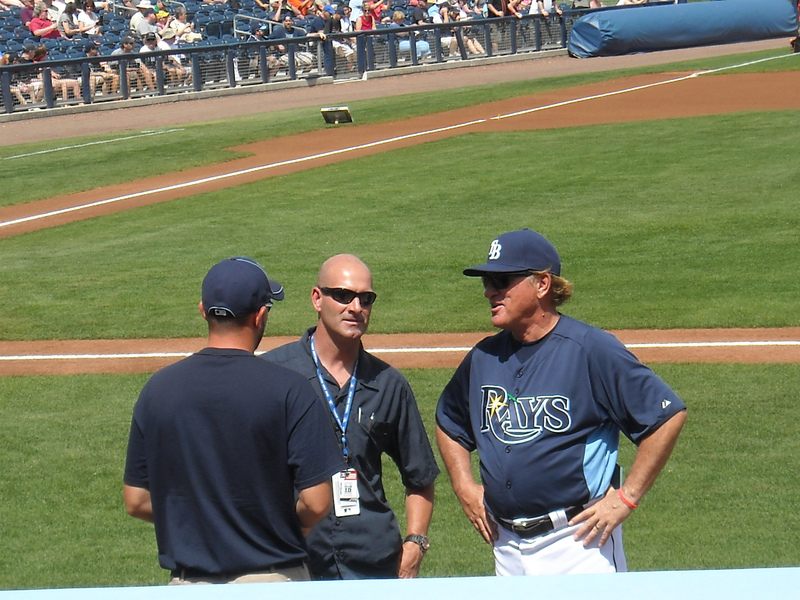 While the New York Yankees may be the current frontrunners in the East, one cannot discount Joe Maddon’s Tampa Bay Rays since no team has done more with less over the past five seasons. The Toronto Blue Jays and Baltimore Orioles certainly cannot be ruled out as well in what is often the most hotly contested division in all of baseball. Traveling further down the geographic standings brings the focus on the American League Central where the usual suspects seem to be doing the usual things early on. The Detroit Tigers will likely continue their reign atop the division while fighting off the advances of the Kansas City Royals who continue to improve each season. The Chicago White Sox, Minnesota Twins and Cleveland Indians will likely string together some impressive victories throughout the season but it is unlikely that they will rise to the top of the standings based on their early sample of work. Out in the American League West the Oakland Athletics are in first place and the Houston Astros are in last place. While the Texas Rangers will look to return to postseason play in the post Nolan Ryan era a more intriguing thing to watch in the division will be whether the Astros can break their streak of consecutive 100 loss seasons. 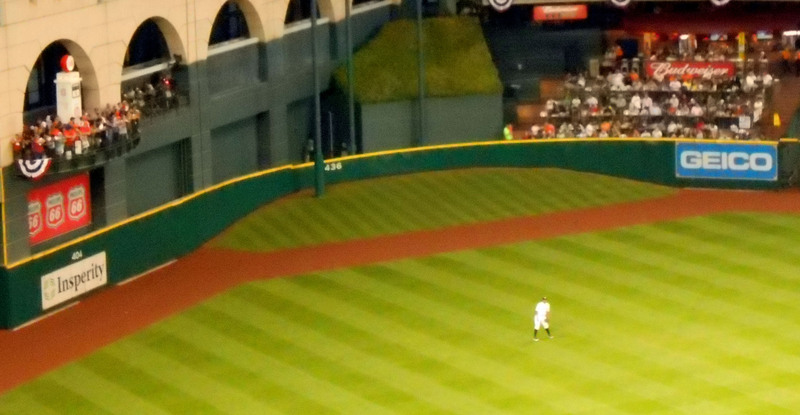 Early indications point to another long season for the Houston Astros. Fans can take comfort in the return of the view of the skyline however. 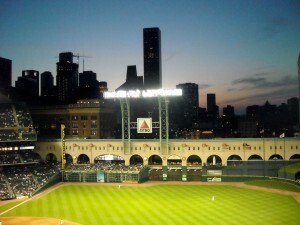 Early indications certainly point to it being another very long season in Minute Maid Park but at least fans have a view of downtown again to entertain them during lopsided losses by the home team. The Seattle Mariners and Los Angeles Angels of Anaheim will look to get some bang from their hefty payroll bucks and should easily finish higher than the Astros but it is doubtful that they will break the grasp the Rangers and Athletics have atop the division. With the American League shaping up with few surprises it is time to look at the National League and any potential surprises or unexpected trends from the early parts of the season. The National League East has the Atlanta Braves in cruise control atop the standings. With their days in Turner Field numbered it would be nice to see the Braves give the Ballpark a final taste of postseason play before it is reduced to a pile of rubble. The Atlanta Braves look like the team to beat so far in the National League East. 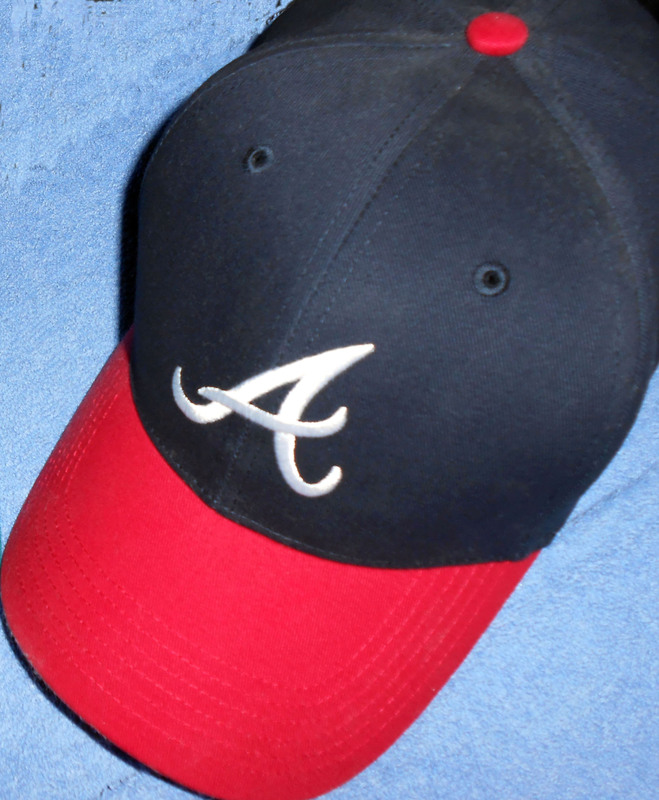 The Washington Nationals, New York Mets, and Philadelphia Phillies will try to keep things interesting but the division does seem to have a heavy “tomahawk chop” feel to it with the Braves going the distance. The Miami Marlins hold their familiar spot at the bottom of the standings showing that a Ballpark without payroll can lead to a very long couple of seasons. The National League Central is shaping up to look like the division normally looks with the Milwaukee Brewers and St. Louis Cardinals near the top and the Pittsburgh Pirates and Chicago Cubs near the bottom. It is likely that the 100th Anniversary season at Wrigley Field will end like many of the previous years with the Cubs shut out of the postseason. The Cincinnati Reds will likely hold their familiar spot in third place in the division although Billy Hamilton will certainly give the Reds’ fans something exciting to watch as he scorches the base path with his base stealing speed. 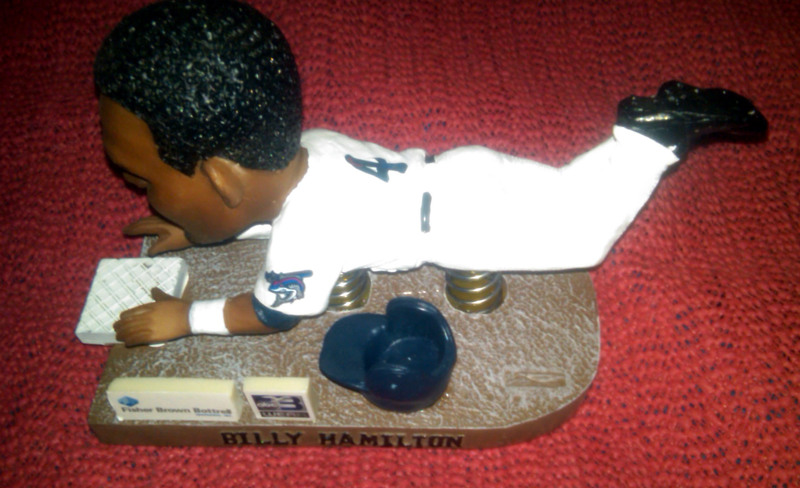 Current Cincinnati Red Billy Hamilton stole a record number of bases in the Minor Leagues and became immortalized as a bobble head. The real life version is likely to entertain Reds fans for years to come. As for the National League West the Los Angeles Dodgers are leading the pack with the Arizona Diamondbacks currently having the worst record in all of baseball. The Colorado Rockies, San Francisco Giants and San Diego Padres will keep things competitive but the West has a feel of Dodger Blue as long as they don’t implode down the stretch. While the standings in all six divisions are likely to change through the course of the season early indications do seem to point to a postseason filled with the usual suspects. Of course there are no guarantees in baseball. Teams will need to battle through injuries and other factors as they approach October. 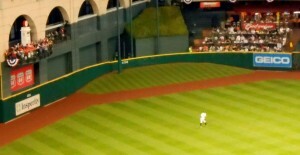 The only peak the Astros are likely to see this season will come in the form of Tal’s Hill in center field. The teams that peak at the right time are the ones that win it all in the end. For some teams that peak occurs on Opening Day and lasts the whole season long. Other teams are more slow burners and need to build up to their peak. Then there are the teams who are stuck in the valley where the only peak they see is the pitcher’s mound or in the case of the Houston Astros, Tal’s Hill. Now if you’ll excuse me, all of this talk about peaks and valleys has me craving a mountain view.